How to deal with uncertainty, how to plan with minimum effort and how to make sure your projects help the strategy of the company. We often hear that Agile and Planning are incompatible. This isn’t necessarily true but it’s hard to find the balance between having a detailed plan, managing for the uncertainty of the future and still helping your company reach its strategic goals. Kanban and its Flow metrics has an answer to that challenge. With this presentation we will focus on solving the predictability challenge in an alternative, yet effective way. The Portfolio Kanban way. 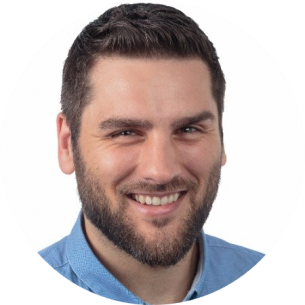 Dimitar Karaivanov, CEO and Co-founder of Kanbanize, is a Lean-thinker and a Kanban practitioner with a solid background in the areas of software development and process improvement. His expertise was gained through more than 15 years of career development at companies like Johnson Controls, SAP and Software AG. Dimitar has envisioned and brought to life the idea of Kanbanize as aimed at solving problems in the way companies manage big initiatives and projects spread across multiple teams. Through the success of his company, he has proven that Kanban can be used for product development and not just change management activities. He is passionate about achieving extreme performance at scale and applying Lean / Kanban outside IT. Dimitar is a keynote speaker and author of ‘Lean Software Development with Kanban’. He is an active member of the Lean / Kanban community and supporter of initiatives, which aim to promote it.